A classic that won’t let you down. 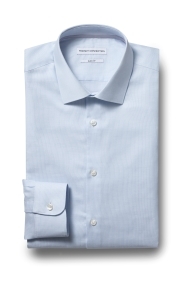 You can rely on this shirt to see you looking your best, whether it’s for work or play. 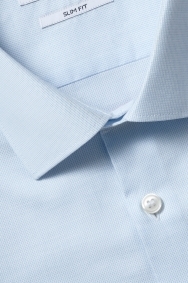 The slim fit will give you a clear-cut outline and the Oxford weave adds refinement. A classic collar, single cuffs and long sleeves mean it’s easy to wear with lots of suits, plus the sky tone is a versatile choice. It’s made from 100% cotton, so you know it will feel soft and breathable. Suits in all sorts of shades will go with this shirt. Just make sure it’s cut in a slim fit for a sharp outfit. When in the deal, a quality shirt at a good price.